If you want to see everything San Jose has to offer, there is no better way to do so from behind the wheel of a rental car from Payless. Don't spend time waiting for the bus or hailing taxis to go to the sights. When you have the keys to your own car, you can drive anywhere you want to go, whenever you want. Make your next getaway to California even more enjoyable with a Payless rental car. With over one million putting down roots in San Jose, you should find plenty to do and see in this bustling city. Many tourists come to enjoy San Jose's thriving art community and a rich past that is a beacon for history aficionados. Whatever you pick to do first, you'll want to see as much of San Jose as you can during your stay. Once you get behind the wheel of your Payless rental car, you'll be on your way to discovering more of this exciting city. With more than 120 different locations in the United States, Canada, South America, and Europe, Payless Car Rental has grown substantially since its founding over 40 years ago in Spokane, Washington. 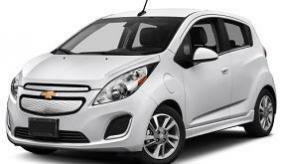 How do I find the best rates on a San Jose Payless car rental? We try to get you the lowest rates, no matter when you reserve your vehicle. However, reserving well ahead of your visit can help you save even more. Be sure to check the mileage policy and keeping it to one driver will reduce your expense. What do I need have with me when I get my rental car in San Jose? What is the minimum age to rent a car in San Jose? Payless's minimum age to rent a car in San Jose is 21. Some rentals, especially higher category vehicles (luxury, SUVs, etc. ), may have an added fee if you are under 25. Take time to review Payless's policies to find out if there is an additional cost before you book. Is there a particular vehicle I should get for my trip to San Jose? That depends on your needs and what activities you want to do in San Jose. For bigger cities, like San Jose, you may find exploring and parking easier in a smaller automobile. Commute times in San Jose average 29 minutes, so you may find a mid-size vehicle or SUV more comfortable. If you want to decrease your emissions and save on gas, then pick a hybrid vehicle. Those looking for a bit of extravagance on their San Jose trip can choose the premium category for a car like an Audi A4 or Cadillac XTS or similar. In the United States you do need to have insurance before you rent a car from Payless. Although many of the major card issuers, like Visa and MasterCard, offer some coverage, there are usually restrictions. For example, you may not be covered if you book a luxury or larger vehicle. Make sure to check credit card issuer's policy before you decide. Otherwise, as a U.S. citizen, you can add on Collision Damage Coverage through CarRentals.com at checkout. Payless does require a deposit when you reserve your rental. Payless will block the deposit on your credit once you reserve your vehicle for your trip. Please be aware that the deposit will vary greatly depending on the model and make of the car. We suggest a full to full policy. You pick up your Payless rental with full tank, and you should bring it back it topped off. To avoid any added expenses, it is best to find a filling station before you return the car to Payless. Stations near or around airports or car rental places tend to have higher prices. San Jose is a large city, so there is going to be a lot to do. You may not want to concern yourself about your miles if you are planning to see what else California has to offer. Does Payless offer one-way rentals in San Jose? Payless offers one-way rentals in most cases. You may find it more convenient to drop off your rental car at a different Payless. Don't forget there is typically an additional charge when you choose one-way. With so much to do and see in San Jose, having access to an automobile can come in handy. When you're ready to discover more of California, you can go when you like, without trying to wave down a taxicab or sign up for a ride-share. Before your next family vacation, book your Payless San Jose rent-a-car and take off to all the must-see sights. Reserve with CarRentals.com and cruise the road in San Jose, California.